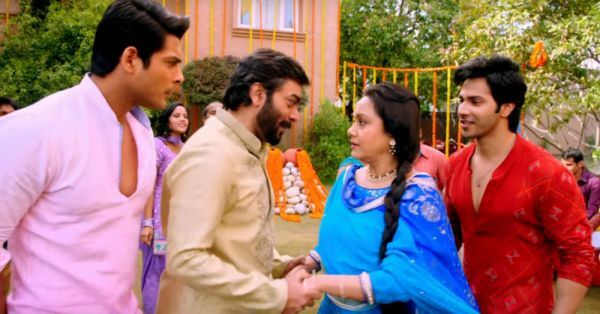 7 Things You’ll ONLY Get If Your Parents Had A Love Marriage! People all around us are dating each other, falling in love and choosing their own life partners - unlike their parents who didn’t exercise a say in the person they got married to. But if your parents were the badass couple who stirred quite a scandal by having a love marriage in their time, you’ll totally get these 7 things! 1. You’ve grown up listening to a perfect love story, and you want yours to be just the same. Your parents keep talking about how they first met, how they fell in love, how they confessed their love to each other, and how they fought for it. It’s your fav story and you just don’t get tired of hearing little snippets of it, over and over again. You kinda feel proud at this little act of rebellion your parents pulled off, and you love flaunting it to anybody who’d care to listen. But the truth is, they are just as protective of you and just as suspicious of any guy who’s getting a bit too friendly with you as any other parent would be. Yeah, parents stay parents. And that was when you realised you had real cool folks! 6. You don’t get awkward when your parents get all cutesy with each other! ‘Coz it is cute, okay? And makes me believe in true love. 7. You have always been pretty sure that you will also marry for love and nothing else! MUST-READ: Love Marriage vs Arranged Marriage: What Really Happens! MUST-READ: When Your Guy Meets Your Parents… 10 Awkward Moments!